2017 – Returned the the field during the Spring Game and recorded three solo tackles, one tackle-for-loss for seven yards and one interception. 2016 — Became one of Oregon's top defensive leaders over the season . . . Started at cornerback in nine games but saw action in all twelve throughout the season . . . Recorded 39 tackles, 29 of those being unassisted, 3.5 tackles for loss for 7 yards . . . Team-high twelve pass break-ups through twelve games, putting him in the career top 10 at Oregon . . . Stood out against USC for his pass breakups . . . Had one fumble return against Nebraska to gain 34 yards. 2017 – Recorded three solo tackles during the Spring Game. 2016 — Logged more snaps than any other player (984), taking part in 80 or more reps in eight of his first nine appearances while stepping onto the field in all 12 games . . . 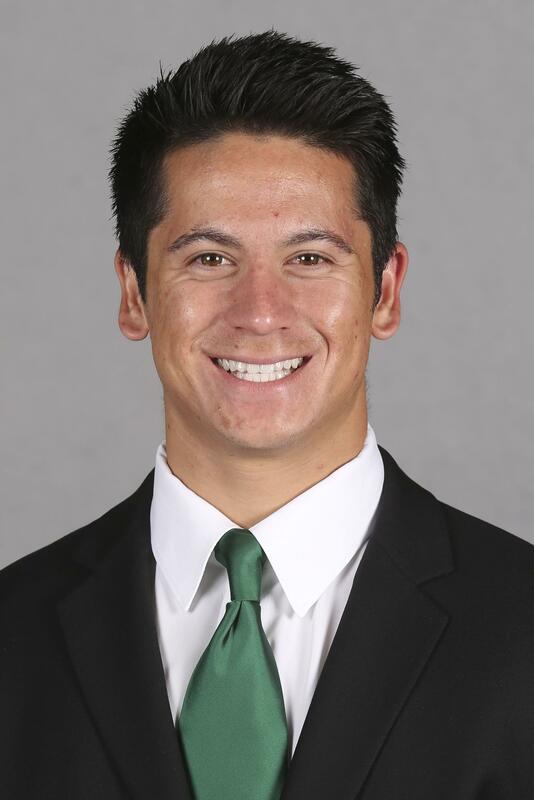 Took part in 98 and 99 plays in consecutive outings against Colorado and Washington State, respectively, and peaked with 124 snaps at California . . . The 11-game starter opened the season’s first two games at safety before converting to cornerback for the remainder of the season . . . The Ducks’ fourth-leading tackler (53) paced the team in stops on only one occasion (7 vs. Virginia) before coming back with a season-high nine tackles the following week at Nebraska, including his lone quarterback sack of the year . . . Tied for second on the team with six pass break ups as Oregon benefited from his lone interception of the campaign against Arizona State, picking off his fourth career errant throw at the Ducks’ 1-yard line and returning it 84 yards to prevent the Sun Devils from pulling within five points towards the end of the game . . . Also has been a regular on the Ducks’ kick coverage units. 2017 – Recorded four solo tackles during the Spring Game. 2016 — Saw action in 10 games during the season and recorded 18 (11-7) tackles with 2.5 tackles for loss for 13 yards . . . Career-best nine (5-4) tackles at Nebraska . . . One start during the season at SAM linebacker vs. Nebraska . . . Three tackles and 1st career sack vs. Virginia. 2015 — A returning linebacker corps allowed the luxury for the first-year addition to redshirt, thus preserving two more seasons of eligibility . . . Made a push in the spring of 2016 to grab attention that could result in a prominent role at the SAM outpost in the coming season, posting five tackles (3 assists) in the Spring Game. 2017 – Contributed to the Spring Game by recording two solo tackles. BEFORE OREGON: The sixth-ranked cornerback in the country and 49th-ranked overall recruit by ESPN … Also 10th overall cornerback and the 82nd overall recruit by 247Sports.com … A consensus four-star recruit … Ranked 10th in the country at his position and 10th overall in the state of California … Invited to play in the 2017 Under Armour All-America Game … Named one of the top 100 recruits on the West Coast by the Tacoma News Tribune … Selected to the Los Angeles Times’ All-Star team as a senior … Intercepted two passes, returning one for a touchdown, while making 45 tackles and breaking up seven passes as a senior … Also caught 39 passes for 490 yards and six touchdowns while helping lead Rancho Cucamonga to a CIF-Southern Section Division 1 semifinal appearance … Racked up 890 all-purpose yards and eight total touchdowns in 2016 … Voted the SoCal Prep Legends Boys Athlete of the Week after catching a touchdown pass, returning an interception for a touchdown and making five tackles in a 42-26 win over Mission Viejo in the CIF-SS Division 1 quarterfinals …. Named to the Inland Valley Daily Bulletin’s All-Area second-team as a junior after recording 103 tackles while intercepting one pass and returning it 82 yards for a touchdown … Also received offers from Arizona, Arizona State, Alabama, Boise State, BYU, California, Colorado, Illinois, Louisville, LSU, Nebraska, Notre Dame, Oklahoma, Oregon State, UCLA, USC, Utah, Washington and Washington State. 2016 — Saw action in eight games over the season, only missing the last few games due to an injury . . . Recorded 183 yards on 37 carries and three touchdowns . . . Fourth-best rusher of the season, despite missing four games . . . Career-most two touchdowns for 12 points, one rushing one receiving, against Washington . . . Had an explosive play against Nebraska racing 50 yards to score a touchdown. 2017 – Recorded five carries for gain of 6 yards, one kickoff return for 17 yards, and one solo tackle during the Spring Game. 2017 – Recorded two solo tackles during the Spring Game. 2016 — In his sophomore year he started eight games, including the last four, but saw action in all 12 . . . Recorded 31 solo tackles and 11 assisted tackles this season . . . Broke up six passes this season . . . Stood out vs. USC teaming up with Arrion Springs to break up three passes which was a personal best . . . Third best in tackles vs. Washington State with six recorded tackles (5-1) . . . Eighth best defensive leader of the season. 2017 – Recorded one solo tackle during the Spring Game. 2017 – Guided his team to a win during the Spring Game by rushing 17 yards on eight carries, and completing 16-of-26 passes and three touchdowns. 2017 – Displayed his skills on the field at the Spring Game recording 14 carries gaining 32 yards and completed 3-of-7 passes for 63 yards. 2017 – Recorded one 11-yard reception during the Spring Game. 2016 —Holder for 10 games this season, totaling 38 games over the last three seasons. 2015 — Experienced his first significant time at quarterback in the win at Colorado, coming off the bench to complete four of nine passes for 83 yards and his first career touchdown pass (43 yards) . . . Also ran five times for 22 yards . . . Returned the following week to split time vs. Washington State, scoring his third TD of the year on an 8-yard run . . . Highlighting his first action under center as a collegian was a 87-yard scoring run against Georgia State - the second-longest run by a quarterback in school history . . . Followed that up the next week with a 14-yard scoring scamper vs. Utah in addition to completing two of three passes for 13 yards . . . Completed the year connecting on six of 14 passes for 96 yards and one touchdown while running with the football 10 times for 142 yards and three scores . . . Was the holder for 42 consecutive successful placements into the first seven games before finishing the year holding for kickers who put points on the scoreboard on 89 of 91 attempts . . . Orchestrated a trio of unsuccessful two-point conversion attempts . . . 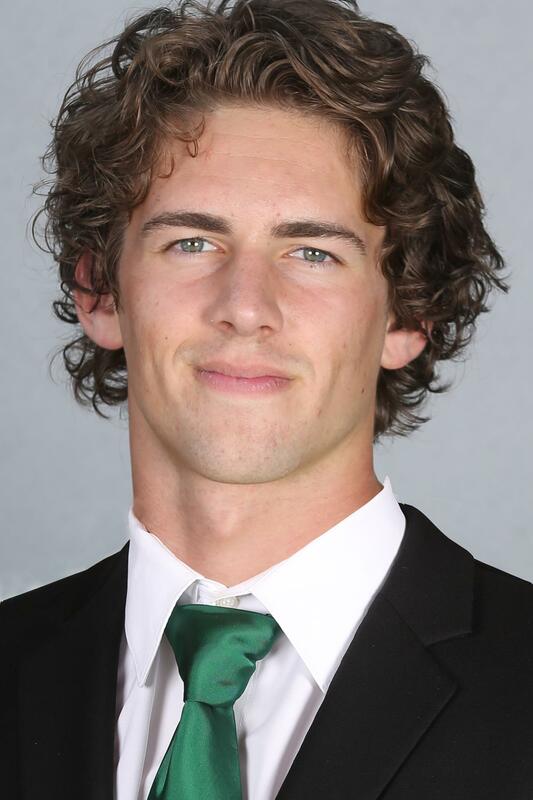 The academic all-conference honorable mention selection spent the majority of the 2016 spring tutoring program's young quarterbacks while expanding his resume as a receiver. 2017 – Recorded three receptions for 75 yards during the Spring Game. BEFORE OREGON — The top-ranked athlete in the nation, seventh overall prospect in the state of California and 54th-ranked recruit in the country by Rivals.com … The seventh-ranked cornerback in the country and 66th overall prospect by 247Sports.com … Rated the seventh best at his position in the nation and 59th overall by Scout.com … A consensus four-star recruit … Invited to play in the 2017 U.S. Army All-American Bowl … Named one of the top 100 recruits on the West Coast by the Tacoma News Tribune Selected to be a part of USA Football’s Under-19 team following senior season … Named to the Los Angeles Times’ all-star team as a senior … Also named the 2016 Angelus League co-Player of the Year … Offensively, carried the ball 108 times for 1,172 yards and 17 touchdowns while racking up 663 receiving yards and seven touchdowns … Also threw for 595 yards and six touchdowns to put up 2,430 yards of total offense … Defensively, made 52 tackles while intercepting one pass and forcing two fumbles … As a junior, ran for 563 yards on 56 carries, averaging 10.1 yards per rush with five touchdowns … Also caught 19 passes for 389 yards and four touchdowns … Recorded 48 tackles while intercepting one pass and forcing one fumble … Ran for 763 yards and seven touchdowns on just 71 carries while also catching two touchdown passes as a sophomore … Made 50 tackles with seven pass breakups and one forced fumble … Also received offers from Alabama, Boise State, Boston College, BYU, California, Colorado, Florida, Fresno State, Illinois, Louisville, LSU, Miami, Michigan, Mississippi State, Missouri, Nebraska, North Carolina, Northwestern, Notre Dame, Oklahoma, Oregon State, San Diego State, TCU, Tennessee, UCLA, USC, Utah, Vanderbilt, Virginia Tech, Washington and Washington State. 2017 – Recorded five solo tackles, one sack, and one tackle-for-loss for 10 yards during the Spring Game. 2017 – Team most all-purpose yards during the Spring Game recording 24 carries for 84 yards, one rushing touchdown, three receptions for 43 yards, and one kickoff return for 35 yards, totaling 162 all-purpose yards. 2016 — Voted by teammates as Oregon’s most outstanding offensive player, he finished the year as team's second leading rusher (771) in 12 appearances while leading regular ball carriers with a 7.6-yard average . . . Also tied for second on Ducks’ list in points scored (60) and ranked third in all-purpose yards (1,089) . . . The Pac-12’s second-team all-conference all-purpose pick posted a career-best 132 rushing yards vs. ASU on nine carries in addition to surpassing the 100-yard rushing plateau two more times as a sophomore against Colorado (120) and at California (109) . . . Converted three of his seven carries at Nebraska into touchdowns while reaching the end zone once on seven other occasions . . . Returned seven kickoffs for 137 yards (17.1 avg. ), including 56 yards at Cal . . . Broke into the starting lineup vs. USC yet averaged better than 6.5 yards per carry coming off the bench in nine outings . . . Seven explosive plays from scrimmage (25 yards or more) included a 58-yard run vs. ASU . . . Hit his 1,000 yard career milestone in the season finale vs. Oregon State while surpassing no fewer than 16 personal bests during his second season. 2017 — Carried 12 carries for 43 yards and a touchdown during the Spring Game, adding one reception for 58 yards. 2016 — Finished the season as the team's leading rusher, recording nine touchdowns for 945 rushing yards, despite not playing against Colorado and less than full strength in several others . . . Started at running back in 10 games while adding a 10th score with a 1-yard catch in Salt Lake City . . . Remains only nine rushing touchdowns shy from becoming Oregon's all-time leader in career rushing touchdowns (44) and 936 yards away from equaling the Ducks all-time rushing record (4,146 yards) . . . The honorable mention all-conference standout eclipsed the 100-yard plateau five times, including his last three games of the year vs. Stanford, Utah and Oregon State, with his 22nd career effort over the century mark placing him second in Oregon history . . . Added a second 200-yard performance of his collegiate tenure with 207 yards against Virginia on a season-high 21 carries . . . Ran for three touchdowns at Washington State and scored a pair of TDs on two additional occasions . . . Included was a career-long 85-yard score in the second game of the year against Virginia . . . Only the fourth player in Oregon history to rush for more than 1,000 yards in back-to-back seasons (2014, 2015). 2017 – Recorded two solo tackles, one sack and one tackle-for-loss during the Spring Game. 2017 – Contributed to the Spring Game as a wide receiver, recording one reception for 31 yards. 2017 – During the Spring Game he recorded five solo tackles and one break up. 2017 – Recorded one solo tackle during the Spring Game. 2016 — Saw action in all twelve games of the season . . . Recorded 25 unassisted tackles to end the season with 46 total tackles and 2.5 tackles for loss for 10 yards . . . First career start against Nebraska where he recorded one solo tackle . . . Seven starts this season including Nebraska, Cal, ASU, USC, Stanford, Utah, and OSU . . . Career-high nine tackles vs. USC . . . One interception for 16 yards against Virginia. 2015 — Came off the bench to provide depth in the defensive secondary in all 13 games in addition to covering kicks as a special teams mainstay, increasing his productivity as the year wore on . . . Logged 35 or more plays on four occasions, with three of them taking place the second half of the season . . . Capped the year with a personal-best seven tackles (5 solo) in the season finale vs. TCU . . . Added a pair of unassisted tackles and one interception in the win over California while recovering a fumble against Washington State . . . Was credited with an assisted tackle on special teams in his collegiate debut vs. Eastern Washington in addition to recovering an on-sides kick ... Contributed four tackles against Washington and USC while participating in a season-high 57 plays on the latter occasion . . . Registered four of his five tackles unassisted in the 2016 Spring Game. 2017 – Contributed in the Spring Game by recording one reception for 12 yards and one solo tackle. 2016 — Saw action in 11 games this season . . . Made his career debut in game two against Virginia . . . Career high three receptions vs. Oregon State for 39 yards . . . Career best receiving yards (70) and long reception (63) vs. Washington State . . . Third best in receptions in game five vs. Washington State . . . Recorded six receptions for 123 yards. 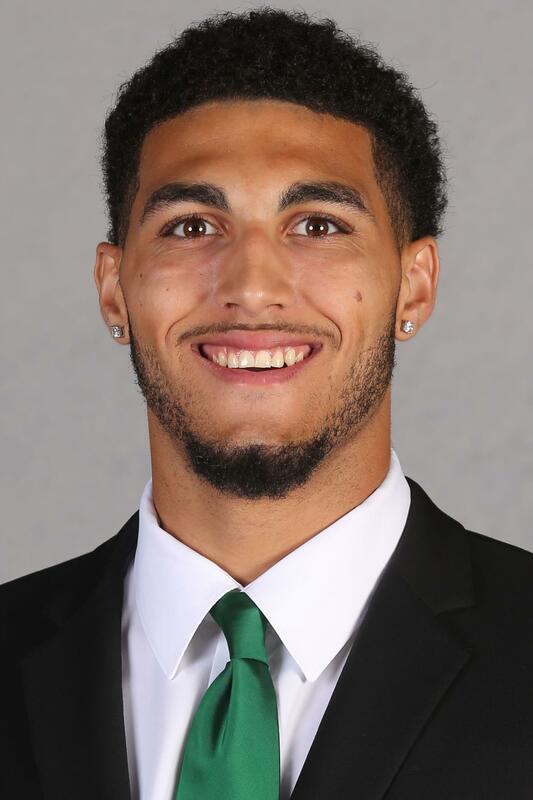 2017 – Gave Oregon fans a taste of his skills at the Spring Game recording three solo tackles and one interception gaining 13 yards. BEFORE OREGON — The 42nd-ranked safety in the country and the 115th overall recruit in the state of Florida by ESPN ... Ranked ninth among safeties in Florida by Scout.com ... Rated the 64th best safety in the nation by 247Sports.com ... A consensus three-star recruit ... Named honorable mention All-Miami-Dade County by the Miami Herald after helping lead Miami Southridge to an 8A state title as a senior ... Came up with a big fumble recovery to set up a touchdown drive in the fourth quarter of a 14-10 win in the state final over Dr. Phillips ... One of the leaders on a defense that pitched eight shutouts during the season, including a stretch of seven consecutive shutouts ... Earned honorable mention All-Miami-Dade County recognition from the Miami Herald as a junior ... Made 64 tackles with one interception return for a touchdown and two sacks ... Also received offers from Miami, Nebraska, North Carolina State, South Florida, Syracuse and West Virginia. 2017 – Most rushing yards during the Spring Game recording 109 yards on 5 carries, scoring an outstanding 95 yard touchdown. 2016 — Stood out vs. Nebraska recording his first career 100-yard game on 6 carries and one touchdown . . . Made his first start of the season against Colorado with 49 yards on 13 carries . . . Saw action in 10 games finishing the season with 51 rush attempts for 300 yards and three touchdowns . . . Third best all purpose and rushing yards of the season. 2017 – Recorded two solo tackles, one sack, and one tackle-for-loss for three yards during the Spring Game. 2017 – Recorded two solo tackles during the Spring Game. 2017 – Recorded two solo tackles, one sack and one tackle-for-loss for four yards during the Spring Game. HONORS AND AWARDS 2016 FWAA Freshman All-America USA Today Sports Freshman All-America ESPN True Freshman All-America Pac-12 All-Conference Honorable Mention Pac-12 Player of the Week Most Outstanding Player Skeie's Award (Team's Most Outstanding Defensive Player as voted on by teammates) 2017 – Recorded the third most tackles during the Spring Game with six solo tackles and one break up. HONORS AND AWARDS 2016 Pac-12 All-Academic Team (Honorable Mention) 2017 – Recorded two solo tackles during the Spring Game. 2015 — The tenacity of the true freshman caught the eyes of his coaches from the outset, earning him play in all 13 games on special teams . . . Was credited with three unassisted stops among his four tackle, including takedowns against Georgia State, Utah, Washington and Oregon State . . . Earned his way onto the field for 189 snaps, including 24 plays against the Panthers and 21 vs. Utah . . . Was credited with seven tackles in the 2016 Spring Game in addition to breaking up one pass. 2017 – Recorded one 11 yard reception during the Spring Game. HONORS AND AWARDS 2015 2015 Vlade Award Winner 3rd-Team All-America (Associated Press) 1st-Team Pac-12 All-Conference (Coaches) Lou Groza Award Watch List (Nation's Top Placekicker) 2017 – During the Spring Game he recorded two kickoffs for 122 yards total. 2017 – During the Spring Game he recorded four punts for 181 yards, long 49 yards, and one touchback. 2016 – Did not play in any games during the season. HONORS AND AWARDS 2016 Defensive Scout Team Player of the Year 2017 – Contributed to the Spring Game's defense by recording four solo tackles, one sack, and one tackle-for-loss for seven yards. 2017 – Showcased his defensive skills during the Spring Game by recording the most 11 solo tackles. 2017 – Recorded the second most tackles during the Spring Game with seven solo tackles and one tackle-for-loss for two yards. BEFORE OREGON — Made tremendous strides between his junior and senior seasons as he was selected as one of the area’s top offensive linemen by the Los Angeles Times...The PrepStar All-West Region choice was ranked among top 50 offensive tackle prospects in the country (Rivals.com) and among the top 10 offensive tackles in the West by Scout.com his senior year for the Lancers, who completed 2015 ranked 14th in the state despite their 6-6 record...He was selected to play in the Semper Fidelis All-American game after playing a major role for a team that averaged 259.1 rushing yards per game and advanced to the quarterfinals of the Pac-5 Division playoffs...Included were season highs of 576 rushing yards and 691 yards of total offense vs. St. Bonaventure...Was named first-team all-Trinity League and first-team all-Orange County following the 2015 campaign after entering his final prep season ranked fourth in the county among offensive tackles (Orange County Register). BEFORE OREGON — Earned MaxPreps Division III first-team all-state honors as well as All-West Region recognition by PrepStar following senior season … Ranked 11th at his position in the state while receiving all-metro accolades from the San Francisco Chronicle … Named All East Bay by the Contra Costa Times’ … A North Coast Section and All-Diablo Foothill second-team pick as a junior ... High school coach was Mike Ivankovich. 2016 — Saw action in all twelve games of the season at right tackle. 2017 – Contributed in the Spring Game by recording one reception for 19 yards. 2017 – Saw action in the season opener against Southern Utah. 2016 – Saw action in two games including game six vs. Washington State recording one unassisted tackle. 2017 – Played in front of Oregon fans for the first time and recorded the second most receiving yards on his team and sixth most all-purpose yards overall with four receptions for 54 yards and one kickoff return for 20 yards. 2017 – Recorded three solo tackles, one sack, and one tackle-for-loss for two yards during the Spring Game. 2017 – Gave fans a glimpse of his skills in the Spring Game recording four punts for 170 yards, long punt for 51 yards and one kickoff for 60 yards. 2017 – Recorded one solo tackle, one sack, and one tackle-for-loss for 10 yards during the Spring Game. 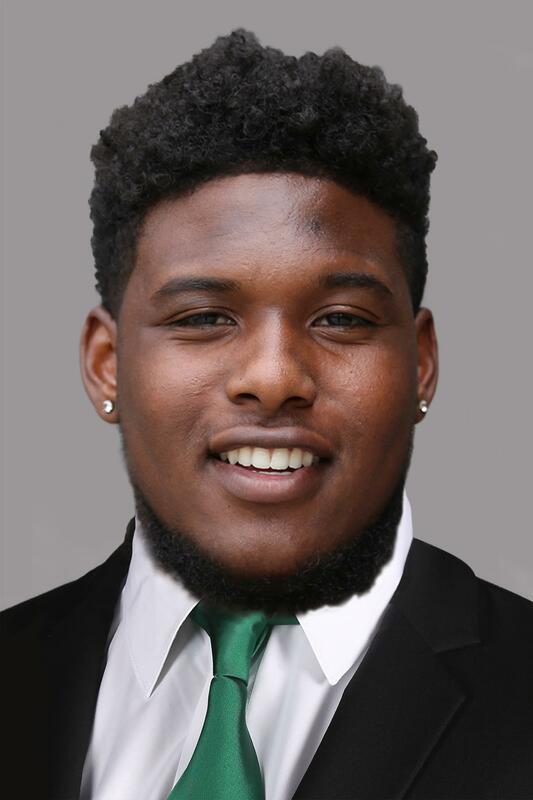 BEFORE OREGON — The fourth-ranked defensive tackle in the state of California and 45th in the country by Scout.com … Rated the 58th overall prospect in California and 52nd in the nation at his position by ESPN … Ranked 65th in the state by Rivals.com … A consensus three-star recruit … Played in the 2017 Polynesian Bowl … Named to the Orange County Register’s All-County team as a senior … Recorded 32 tackles and nine tackles for loss along with 1.5 sacks and a forced fumble to help lead Mater Dei to a CIF Southern Section Division 1 runner-up finish … Made five tackles with three for loss and a sack and forced fumble in a win over Servite … Attended JSerra Catholic High School as a sophomore and junior … Ran for 351 yards on 48 carries for four touchdowns as a sophomore … Also received offers from Arizona, Arizona, State, Baylor, Colorado State, Hawaii, Illinois, Michigan State, Nevada, Oklahoma, Ole Miss, TCU, Texas, UTSA, Virginia and Washington State.